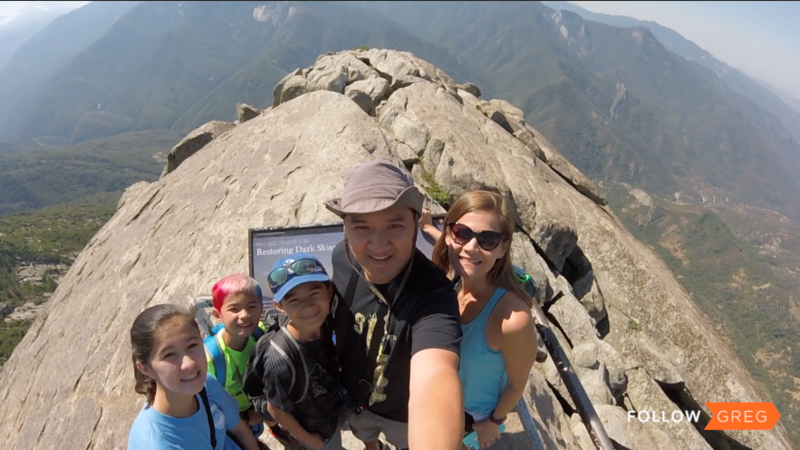 One of the highlights of our visit to Sequoia National Park this summer was a hike up Moro Rock. Moro Rock is a granite dome rock formation in Sequoia National Park. It has an elevation of 6,725 feet and is part of the Sierra Nevada mountain range. The hike itself is over 350 steps and is 1/4 mile in length. 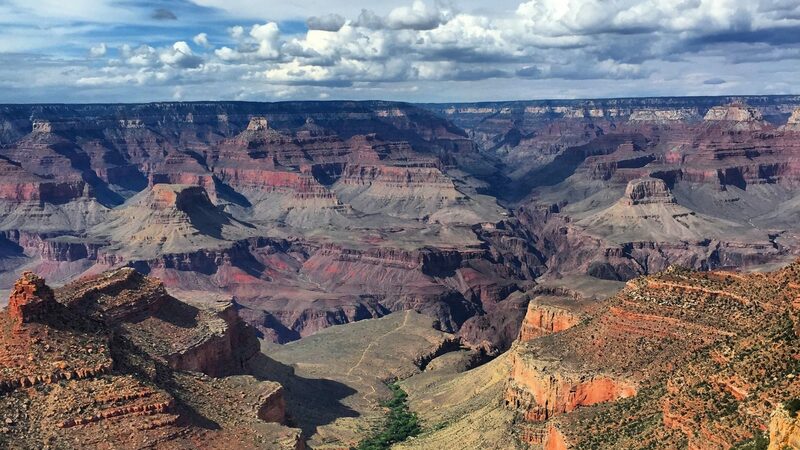 It is easily one of the most rewarding hikes we’ve taken in the National Park System for its breathtaking views and narrow trails between the rock. But the hike isn’t for everyone. Here’s what you need to know. 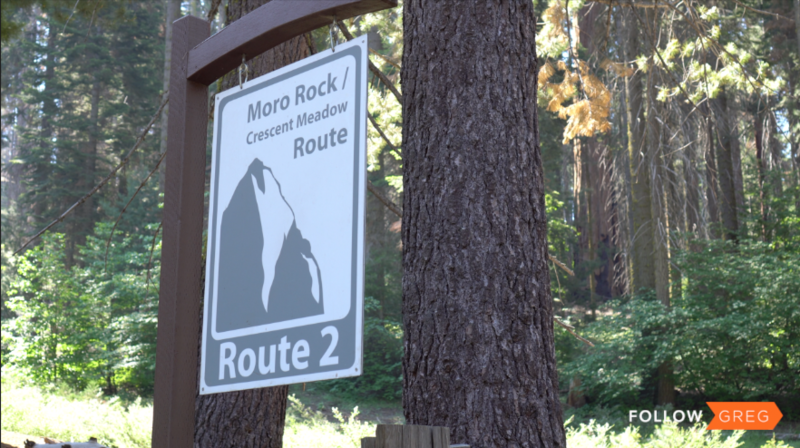 If you are opportunistic enough to arrive at the park early, grab a parking spot at Giant Forest Museum and take the shuttle to Moro Rock. The shuttle is free and air-conditioned and they run frequently. 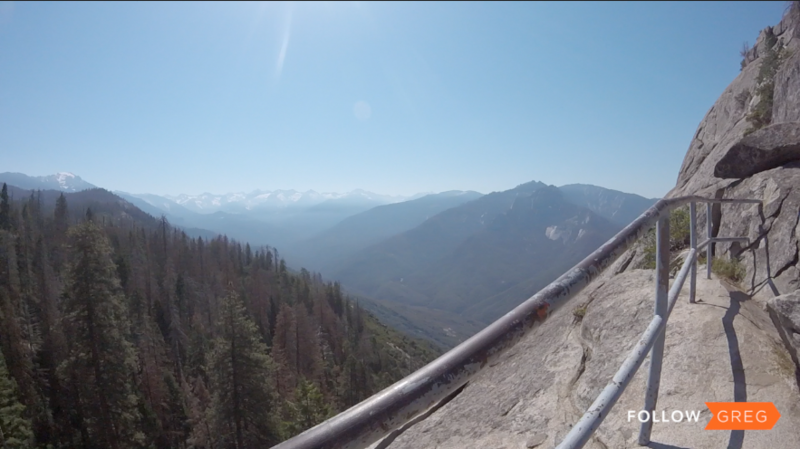 In my opinion, the hike from Giant Forest Museum to Moro Rock is not particularly spectacular. Save your hiking for the Crescent Meadow and Sherman Tree areas. The Sequoia National Park brochure has a basic map that shows the location of the Visitor Centers and the roads that take you there. 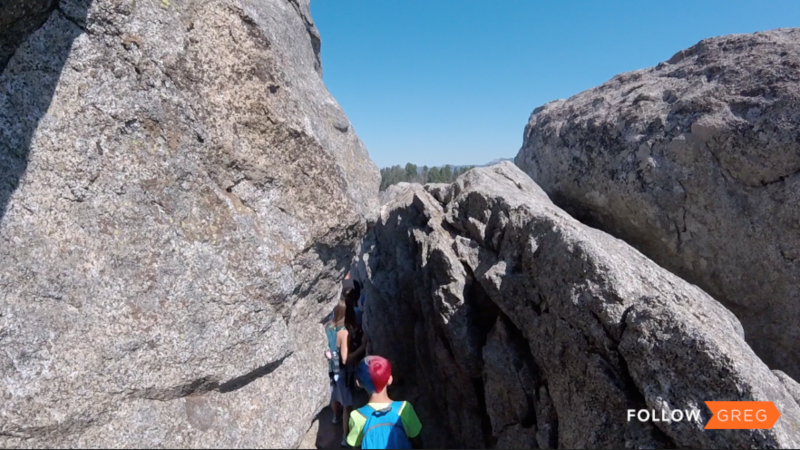 You DO NOT need a trail map to hike Moro Rock Trail. There is one way up and it’s the same way back down. 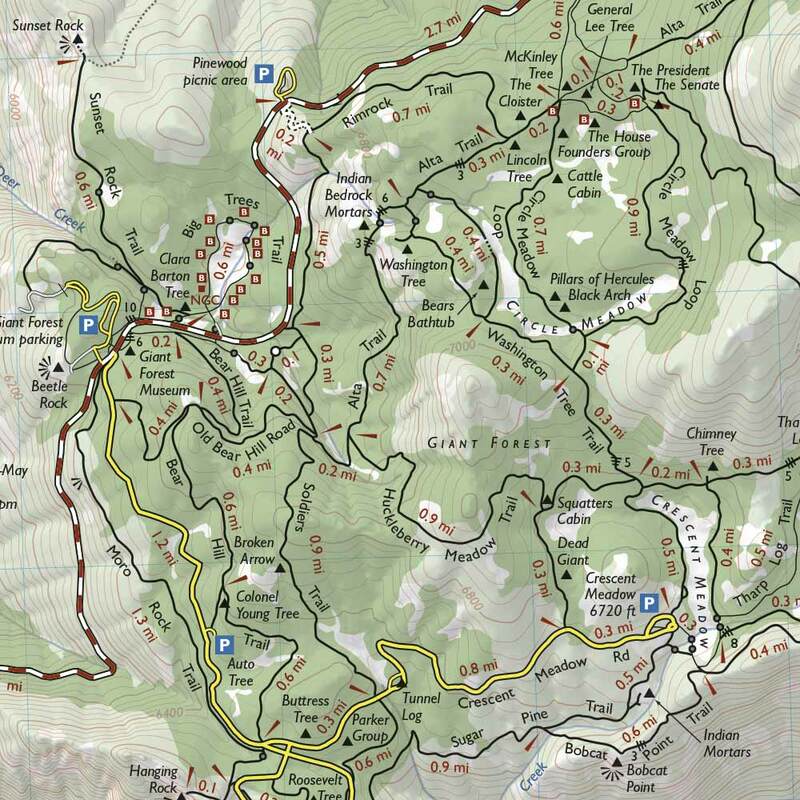 But if you plan to see the huge trees in the Giant Forest (and you really should) you WILL need a trail map. You need to purchase a trail map from the Sequoia Conservancy for $3.50 from the bookstore at one of the Visitor Centers. There are about 300 ft of elevation gain on this trail over 1/4 mile distance and that may seem very steep. But each step is a normal step. Think of it like just walking up 30 flights of stairs. The stone carved steps and ramps was constructed in 1931 by the Civilian Conservation Corps and it is very well done. It’s very easy to forget that these stones were carved out of the rock a mile above sea level but each step is stable, level, and manageable. The 60 or so steps to the first landing is well worth the effort. It offers a breathtaking view and there is a handrail the entire way up! This trail is cut into the rock so as a result there are some areas that are only wide enough for one person. Even with the big crowds that we encountered on the trail, this did not seem to be too big of a problem as there are landings strategically placed near those areas. Still, if you have trouble fitting in tighter spaces, there may be some challenges in some parts. When you see your opening to grab a picture at the top, take it! The picture above is the picture everyone wants to take when they are at the top. As a result, during busy times, there is a line. If you want to make sure you can grab a picture without any randos in the background you’ll need to push your way to the front. Go get it! We absolutely loved doing this hike. It took about an hour of our day between hiking up, taking pictures, and hiking back down and it was a great way to see the majestic mountains and the tops of some of the largest trees in the world! 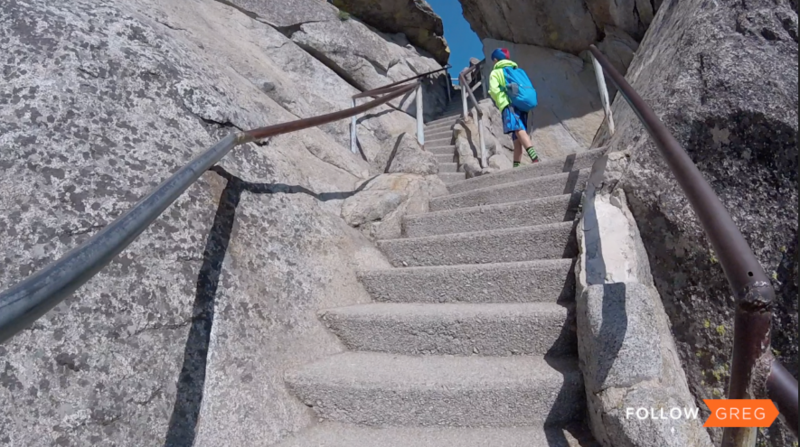 Have you been to Moro Rock at Sequoia National park? Tell us about your experience in the comments!